Isn't it tough getting back to work after a four day weekend? An ample supply of hot cross buns should help ease the transition back. These were made with Nigella's recipe, and are supposed to yield 16 smallish buns. I like big buns (and I cannot lie), so decided to make 8 larger ones instead. Another change - I didn't have proper mixed dried fruit, so indeed of running to the shops, I made do with dried cranberries, candied ginger, glace cherries and chocolate chips. Rather unorthodox, but tasty! 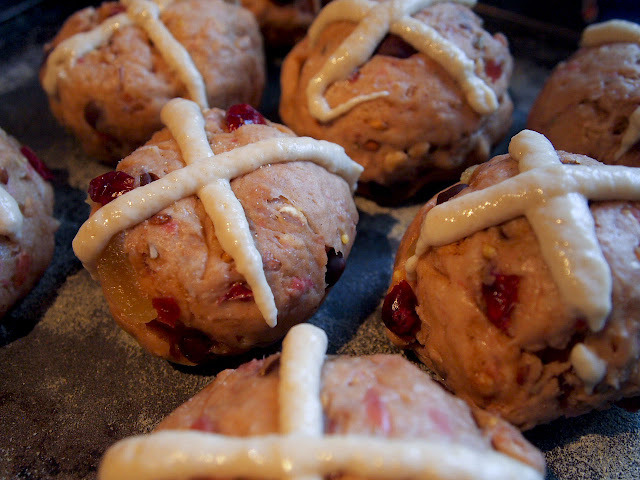 I'd also like to point out that my crosses look much neater than Nigella's scraggly efforts. Piping bag, you have come in handy once again. 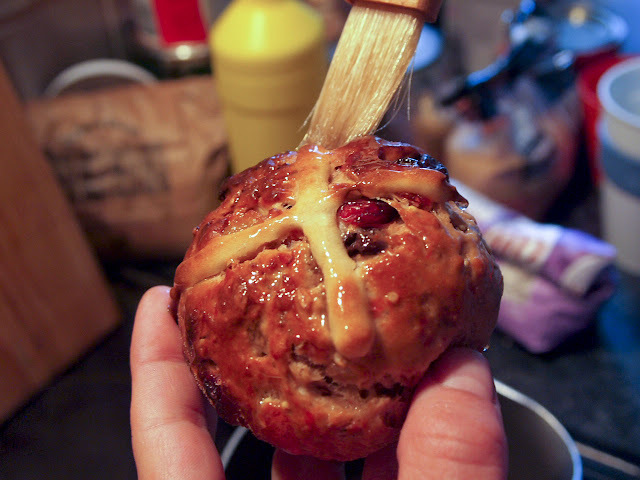 Glazing the bun with a sugar syrup. 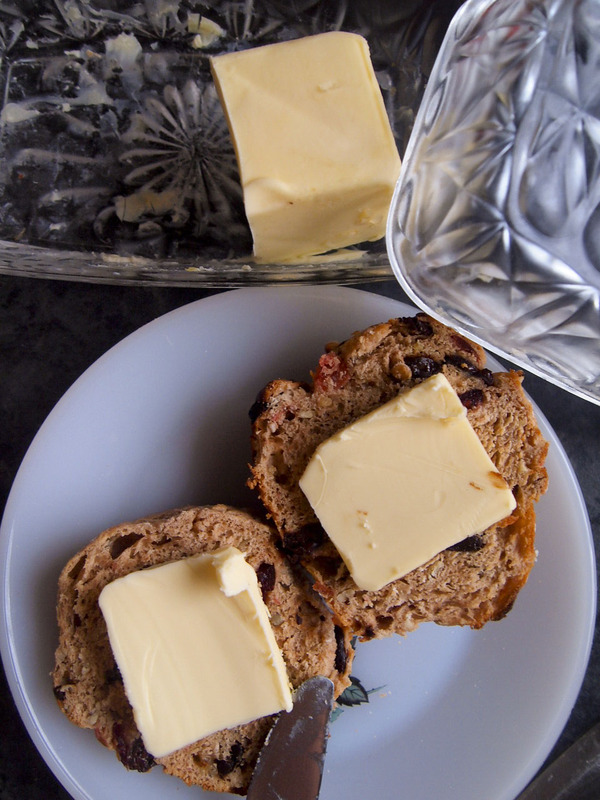 Eat fresh out of the oven with lashings of butter. For older buns, slice one in half and toast it for a couple of minutes, then eat with lashings of butter. It helps make the following week much easier to bear. Click here for Nigella's recipe.